As we head into the fall and a new school year, Jill Mays, MS, OTR/L wants to share the latest addition to her new website, TheMotorStory.org In her letter, Jill tells us that no matter what her workshops entail (Sensory Motor Development, Sensory Integrations, Play…) the question of HANDWRITING always comes up! 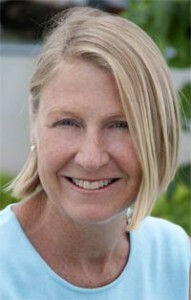 On her website, http://themotorstory.org/, we learn that Jill has been a practicing pediatric occupational therapist for over 30 years. She helps parents and educators understand the importance of sensory-motor development for the overall wellbeing of the child. After receiving her undergraduate degree at the University of Pennsylavania, Jill received a Masters in Counseling and Human Relations at Villanova University and a teaching fellowship at New York University. She is SIPT certified and has advanced training in Sensory Integration and Sensory Processing Disorders. Along with writing, blogging and “playing” with children, she gives workshops to parents and teachers, helping them see the huge impact motor skills have on overall health and happiness of the child, and that creating a great athlete is merely a positive side effect! Book Review: Jill Howlett Mays, MS, OTR/L is also the author of a wonderful parenting book, Your Child’s Motor Development Story Understanding and Enhancing Development from Birth to Their First Sport. High fives to Jill and five stars for her book which we reviewed for our Special Needs Book Review. See review here. Interview: Learn more about Jill and about raising children from our interview with her for our Special Needs Book Review site. Part of the messaging is to help parents understand why play provides a much better foundation for eventual handwriting success than worksheets and drills. We are sure the information you find following the above links will be a useful tool for educators, therapists, parents and especially for children to grow in a stress free, healthy way! Best of luck as you approach another school year from Jill Mays and the team at SentioLife Solutions.